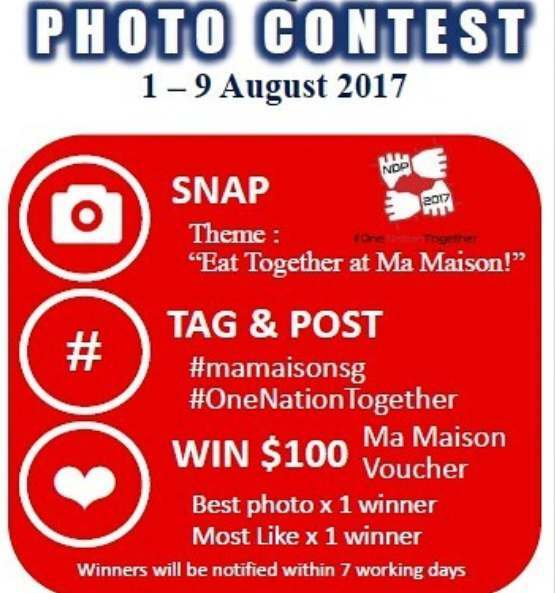 Planning a gathering for National Day!? Join us for the celebration and stand to win at our Instagram contest! 1. Lunch or Dinner at any Ma Maison restaurant with your friends or family. 2. Snap a photo together. Find out more at Ma Maison.